I photographed this one recently dead. It's hard to keep caddis pupae alive for very long in a collection container. 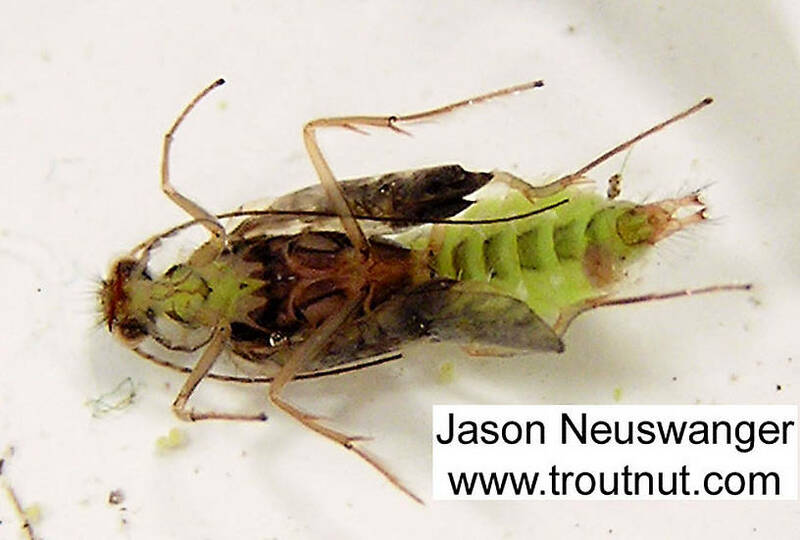 This caddisfly was collected from the Namekagon River on May 18th, 2004 and added to Troutnut.com on January 25th, 2006. I hate to ask you to dig through your specimen vials, but I'm curious to know if you can give a size reference for this one. I've stared at it many times. 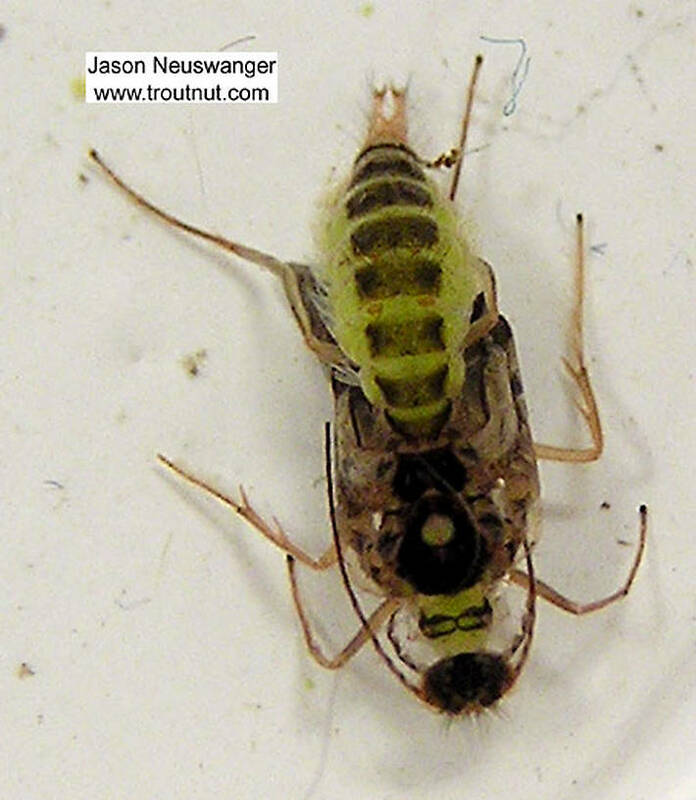 My first impression was Brachycentrus, but that impression was based entirely on color and markings. I haven't been able to find any definitive keys to verify this id (though I may be missing something). May 18 does seem a little on the late side for most of the common Eastern/Midwestern Brachycentrus spp. But, we do have a peak emergence of a Micrasema sp. around that time on the Brodheads. This is the reason I was wondering about the size. I also wanted to call attention to this specimen in the hope that Litobrancha, Taxon, or someone else might be able to end my puzzlement. Pupae: Any insect which spends most of its juvenile lifetime as a larva first becomes a pupa for a time before emerging as a fully grown adult. 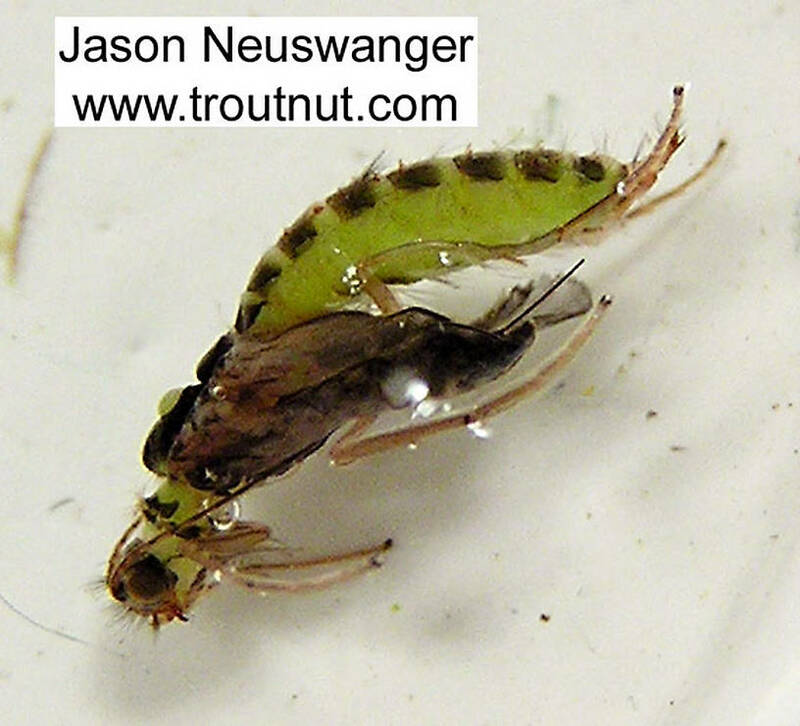 Depending on the species, the pupal form can be very important for fly fishermen to imitate.